Nikhil and Lavanya Tripathi’s investigative thriller, Arjun Suravaram, was supposed to hit screens on March 29. However, the makers decided to postpone the film to May 1, keeping in mind the upcoming general elections in April. This evening, Arjun Suravaram’s makers met with the media to brief about the new release date and the film’s post-production status. Speaking at the event, Nikhil made an interesting comment on the film’s delay. 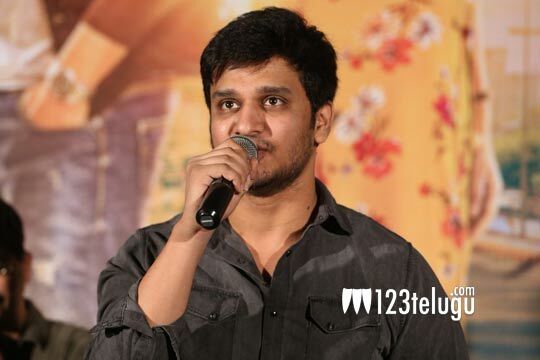 Nikhil said that some of his previous movies which were postponed went on to become super hits later and that Arjun Suravaram too will follow suit. The young hero further said that Arjun Suravaram is the most responsible film in his career. Arjun Suravaram is an official remake of the Tamil hit, Kanithan. The film’s Tamil original’s director TN Santhosh has also directed the Telugu version. Auraa Cinemas and Movie Dynamix banners have jointly produced the film. Tagore Madhu is presenting the film.